Up! 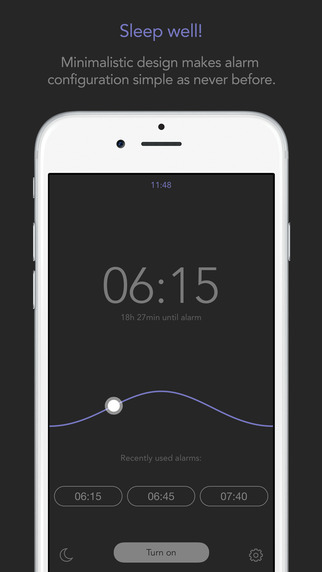 Alarm Clock is a application that allows you to get up feeling more awake and refreshed. Unlike with other similar applications, Up! does not require you to keep the device plugged in or to put it under your pillow – it does not measure your sleeping pattern, but instead suggests a good time to set your alarm and indeed to go to bed based upon when you need to get up. Up! Uses a number of premium features and techniques to ensure that the user not only wakes up refreshed, but also motivated and ready for the day ahead. Firstly, it suggests the best time to go to sleep dependent on when you have to get out of bed, ensuring that you get the optimal amount of sleep. Upon waking, the alarm that is used with Up! has a choice of 4 specially composed, melodic tunes to gently wake the user, making waking up less of a turbulent time and more of a relaxing one. The alarm also works in the background, meaning that if you exit the app before bed time and it has an active alarm set, it will try to wake you no less than 3 times with your chosen sound. Be aware though – Up! does not work with ‘Do Not Disturb’ mode and silent mode, so make sure these features are switched off before you use the app.As for motivation, the application also provides the user with motivational quotes to start the day in a good stead – sort of like a ‘pep-talk per day’ calendar. 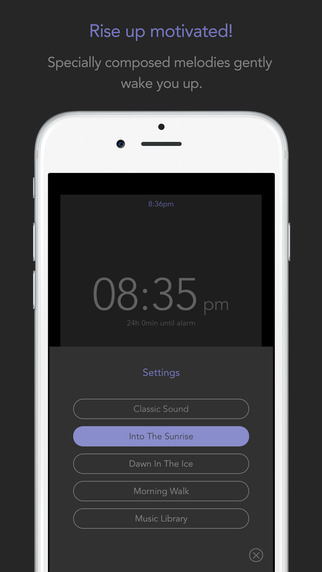 Perhaps the most useful – yet trivial – feature of the alarm is that you can select your own music to wake you up. Although iOS 8 also allows the user to set their own music as an alarm, it is considerably more complicated and not really the sort of thing you want to navigate last thing at night before bed. In fact, Up! 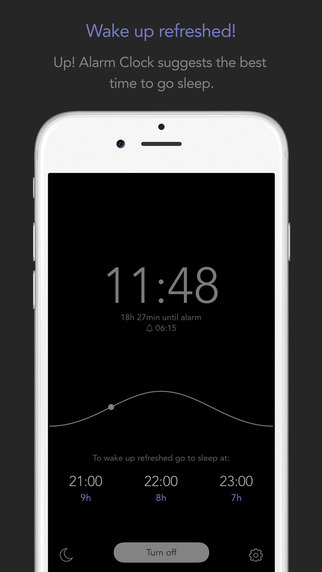 allows the user to set an alarm with only one gesture, making for a much calmer and smoother bedtime routine. Up! Is a nifty little app for any users that are feeling the strain of an early morning. Granted, the earlier bedtime suggestion only works if you stick to it and don’t lie awake at night, but the added bonus of not needing to sleep actually on top of your phone definitely negates any lack of bedtime will power.